Review: Late last year, French imprint Chuwanag launched via a fine compilation exploring the early '80s Britfunk sound (think jazz-funk and electrofunk) in impressive detail. 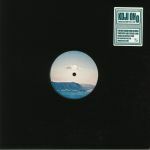 You'll find numerous aural nods to that style on this follow-up, a fine debut single from producer Koji Ono. Check, for example, the sparkling synthesizers, hustling guitars and house-tempo jazz-funk grooves of "So High", the wiggly Clavinet lines, whistling melodies and rubbery bass of "Inner Rhythms" and the luscious, misty-eyed warmth of ear-pleasing mid-tempo instrumental jam "Momoshima". All are exquisite examples of revivalist cuts that boast more than enough freshness and impeccable instrumentation to bear comparison to the records that inspired them. 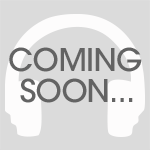 The Breakfast Band - "Funksters"
Review: In recent years, more and more crate diggers have been exploring "Brit-funk" - a previously largely overlooked British variant of jazz-funk popular in underground UK clubs between the late 1970s and mid '80s. One such digger is Parisian producer and DJ Saint-James, who here presents his second deep dive into the obscure genre. Highlights come thick and fast throughout, from the percussive, synth-heavy soul brilliance of Stikki Stuff's "School" and the pre-Lover's Rock, reggae-influenced electrofunk smoothness of Cruzial's "Send Me Your Love", to the killer slap bass of The Breakfast Band's club-rocker "Funksters" and the sparkling boogie badness of "Keep On Searching For Love" by Scratch (Gonzalez). Review: Discomatin co-founder and all-round Parisian selector don Saint James co-launches his new Chuwanaga label with this expertly curated compilation. 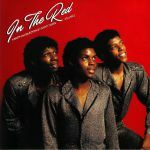 In The Red is a deep dive into the exciting funk fusion coming out of London between 1980-83 as a new movement of black British musicians honed a sound that owes as much to soundsystem culture as it does disco. From the glistening instrumental flare of Index to the lavish synths and slap bass of Equa, this captures a unique and currently under-documented moment in groove history. Complete with detailed liner notes, this is a fantastic way to launch a new label. Not to be slept on. Review: What began as a reissue of their long lost album Rude Movements by BBE in 2016, then the lost tapes of Mike Collins last year, has now led to more unreleased excavations from Brit funk pioneers SunPalace. Four in total, each track tells its own singular inherently UK tale; "Dancing The Night Away" is an upbeat disco thumper with shades of proto house creeping in on the choruses and "Love, Love, Love" hits with new romantic saviour faire. Meanwhile on the flip "If You Wanna Be A Beggar" fuses pub ready vocals, laced with hint of 80s boogie, over playful Afrofunk beats while "Somebody's Watching" closes on a Cure-like mournful funk note (albeit with slightly creepy lyrics). Sunny side up! Next online in 3 hrs 5 mins.